Step into any occasion with our versatile footwear edit. From adidas sneakers to Nike runners and classic Seventy Five brogues. No matter the occasion, our shoes will keep you on trend. Step into any occasion with our versatile footwear collection that has you putting your best foot forward. No matter the occasion, our shoes will keep you on trend. 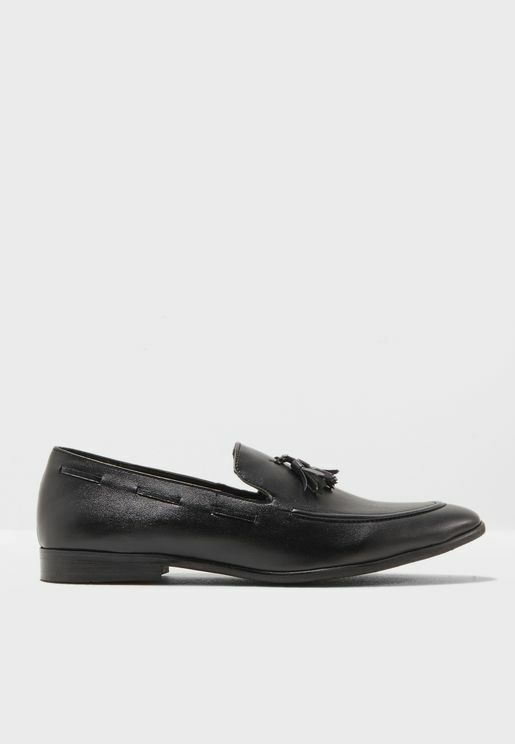 Whether you are searching for versatile brogues suitable for work, play and everything in between, comfortable boots that get you through every season, smart lace-ups that will add polish to any suit, casual slip-ons for off-duty lounging or sneakers that take you from gym to the road with ease, finding shoes that get the job done has never been easier. The Namshi collection includes a wide range of top brands, from adidas to Aldo, Asics, Birkenstock, CALVIN KLEIN, Converse, Diesel, EA7 Emporio Armani, Guess, Jack & Jones, Kurt Geiger London, Lacoste, New Balance, Nike, Polo Ralph Lauren, Puma, Reebok, Robert Wood, Seventy Five, Skechers, Steve Madden, Ted Baker, Timberland, Tommy Hilfiger, Vans, Wrangler, and many others. Browse our full range of men's shoes to start shopping now. Our men's shoe collection caters to every occasion, style, budget, and preference. With over four thousand shoe styles to choose from, we have you covered. Use the handy menu to browse men's shoe brands for specific shoe brands, browse shoe styles, shop by colour, price or size, or search by occasion if you are searching for something specific. Thanks to our easy to use website and fast shipping, Namshi offers the simplest way to buy shoes online, wherever you are based.